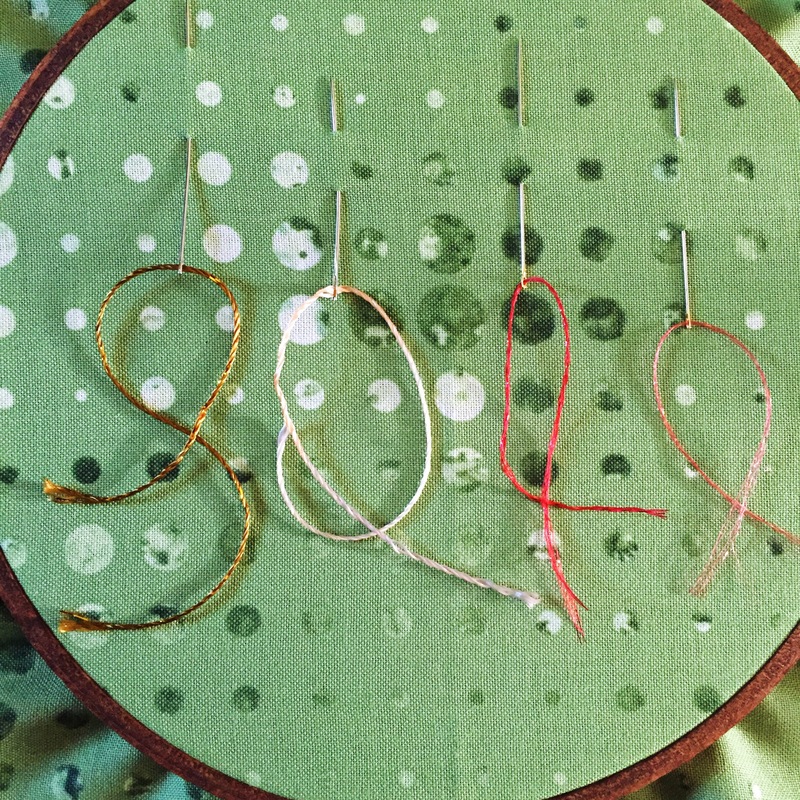 If you like the look of a metallic thread but the thought of actually using a metallic thread makes you want to throw your scissors, needles and thread up in defeat, then keep reading! 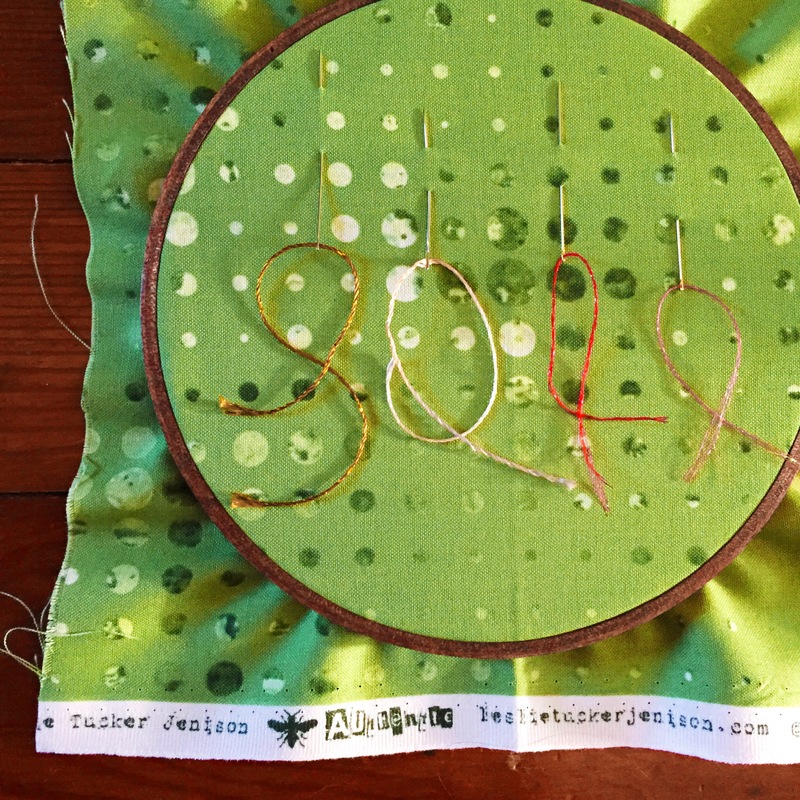 These are my tried and true thread recommendations that won’t have you dealing with tangles and halted projects! In the above picture, you can get a sense of how thick these threads are. The Razzle and Dazzle on the left are comparable to 3 strands of a 6-strand skein of floss and the nishikiito and Shabon-dama are comparable to 1-2 strands of a 6-strand skein of floss. The Dazzle on the far left has one metallic strand running through (there’s the metallic part!) and the Razzle next to it is a Rayon blend, which gives it a silk-like feel and finish (there’s the shine part!) I find when I use either of these threads, I need to use a needle with a slightly larger eye than I’m used to using…it makes it easier to thread the needle. The nishikiito and Shabon-dama are both metallic and shimmery and I love to use them along with regular Eleganza perle cotton for little bits of sparkle throughout my stitching. 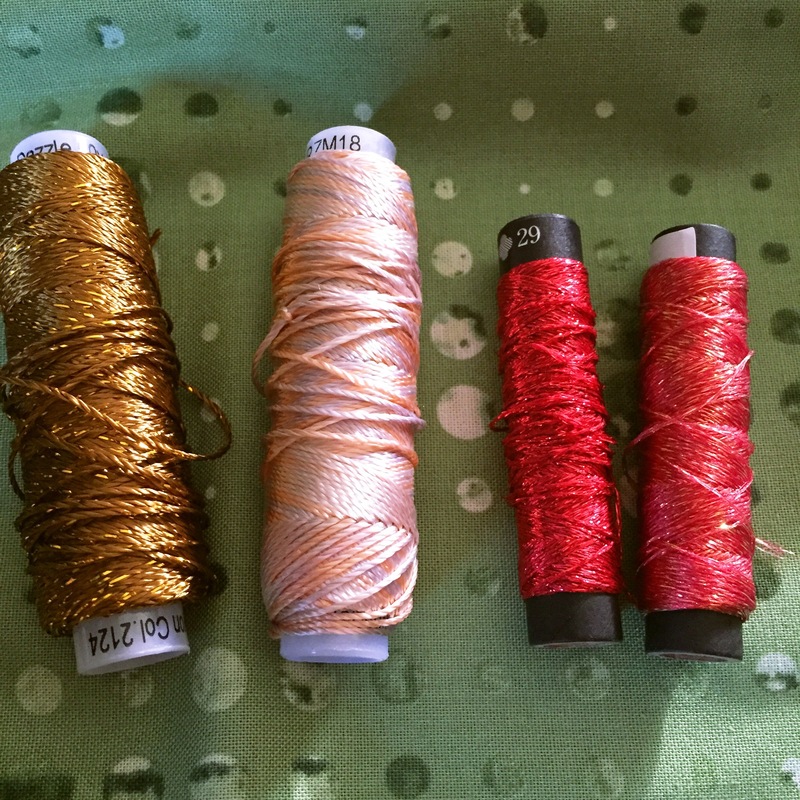 With all four of these varieties, I’ve never had to deal with tangles…the work-slowing kind that you may be thinking of when you hear “metallic thread”!! I also like that they all come on a spool, which further reduces tangles in your work bin! If you end up giving any of these a try, let me know! I would love to her what you think of them too!